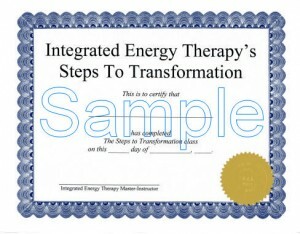 Steps to Transformation - You Can Learn IET! Description: Quite the opposite of “no pain – no gain”, the motto of these Steps To Transformation programs are “no pleasure – no treasure”. These programs are designed to create an environment of joy-filled energetic expansion and personal transformation. 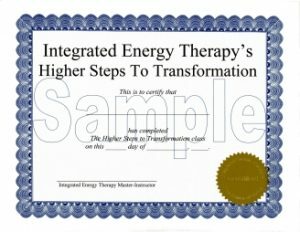 These IET Steps to Transformation programs will help you heal your trauma without having to relive the drama or pain. In these workshops, the Master-Instructor teaching the class will share their angelic energy connection with you, and teach you to establish your own energetic connection with the energy of the Healing Angels. You will learn to use ancient sacred geometry, combined with special techniques that Stevan J. Thayer channeled from Angel Ariel, to “get the issues out of your tissues for good!” In addition to experiencing these Steps to Transformation, you will learn hand mudras that will let you instantly re-activate them anytime. For the optimal transformational experience, we recommend you take the steps in sequence. To read more details about each Step, or to purchase one of the Step processes in the form of a downloadable audio product, click here. Class Format: There are two popular formats for this class: either one Step per class, taught over several days (either in person or by webinar), or a two-day class in which all Steps are covered together. Class Length: 1.5 to 2 hour per Step when taught over several days, or a two-day class 15 hour workshop. 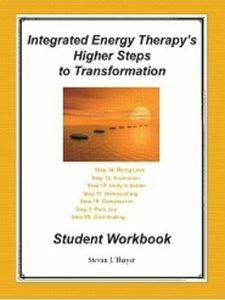 Class Materials: you will receive a fully illustrated 18 page Integrated Energy Therapy’s Steps to Transformation Workbook for the Steps 1-7 workshop, a fully illustrated 16 page workbook for the Steps 8-14 and an official Certificate for each class. 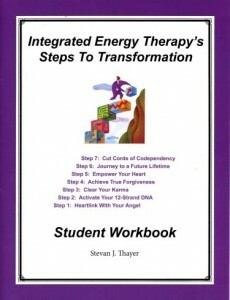 The workbooks contain descriptions of each process, along with illustrations of the reactivation techniques and space for a writing process associated with each step.